From the Old Yellowstone Road outside Gardner. I need to find this road. Great job! Good ones, Rik. Love the "toothpicks." Excellent shots, Rik! 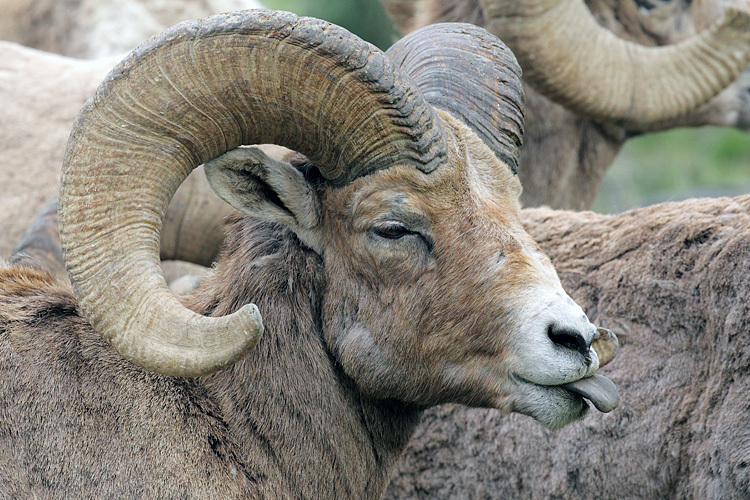 Were all your posted pix of the same ram? 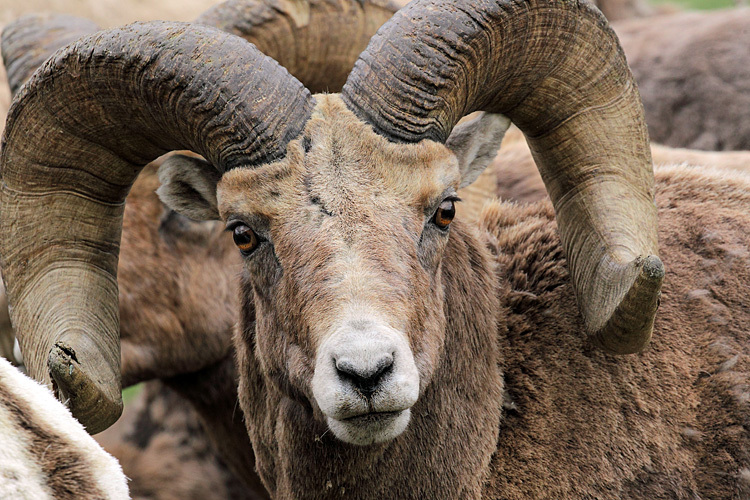 Judging from the number of segments on the horns of the ram in your second pic, the broomed horn tip and all the deep battle scars on the bridge of its nose and around the eyes, this fella must be at least 7 or 8 years old. Bet he's one of the older members of the herd, if not the oldest, and has seen quite a few challenges in his day. Could you tell if he was the kingpin? Doesn't really matter. All I can say is that you were in the right place at the right time. Great job! The nights are getting below/close to freezing now along the north slope of the Beartooth Mountains. So it it looks like the rams may be gathering up a bit earlier than usual and may be getting ready to do battle in November instead of early December. Wish I could have been there with you to take some shots of the rams' protocol, when the younger rams start challenging the older ones to decide their pecking order in the herd. Think I'll take a drive up the Canyon and check on our local herd. 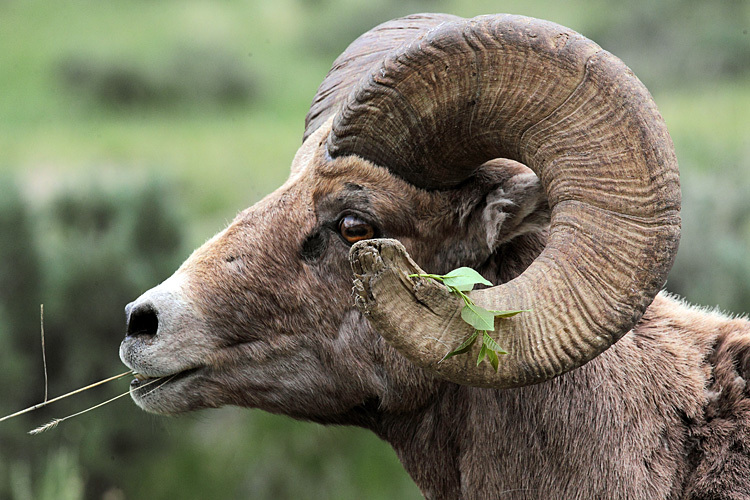 The bighorns are such magnificent creatures but they're also very elusive. So, I'm glad you got a chance to see them and were able to get some outstanding shots! There were over a dozen of them but they were crowding close around my car including in front of me so all I could get were close-ups.